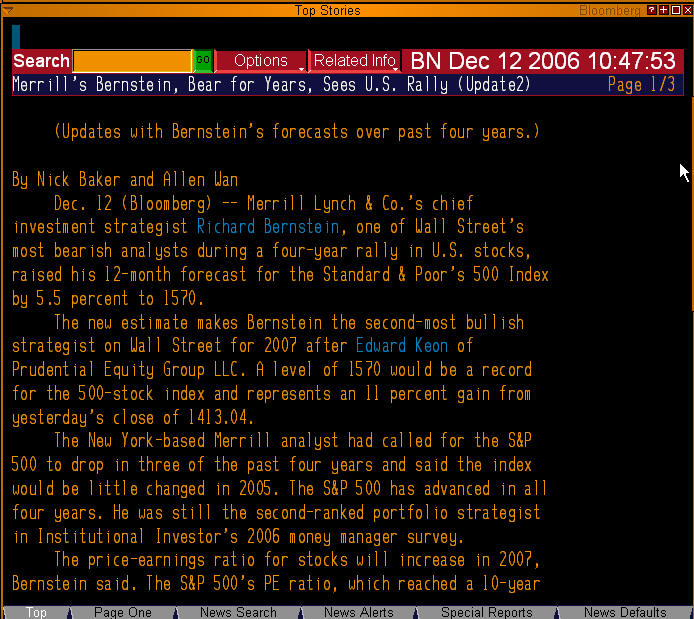 The Merril Lynch chief investment strategist, Richard Bernstein, seems to have finally gotten it right. As the saying goes, even a blind squirrel finds a nut eventually. Almost to the day this time last year, Richard Bernstein flipped from a dyed-in-the-wool bear who had fought the cyclical bull market three years out of four, to a born-again bull. If we end the year here and now, Bernstein seems to have finally gotten it right. Assuming we coast, the S&P 500 will have gone up by about 5% in 2007.